Home › cookbooks › $330k Burger! $$$ HOT DOGS! 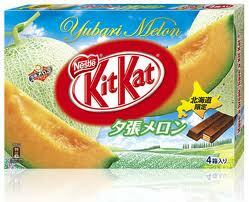 Yubari Melon KIT KATS! Talk About Rich Food! Welcome To The Fat Duck! Over the weekend, the UK Guardian newspaper reported that Dutch scientists were close to producing “an artificial burger that looks, feels and tastes like the real thing.” And Heston Blumenthal will have the somewhat dubious honor of being the chef who cooks it. 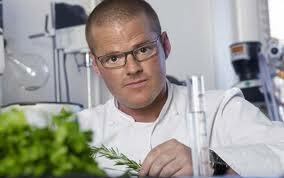 so who is Heston Blumenthal? 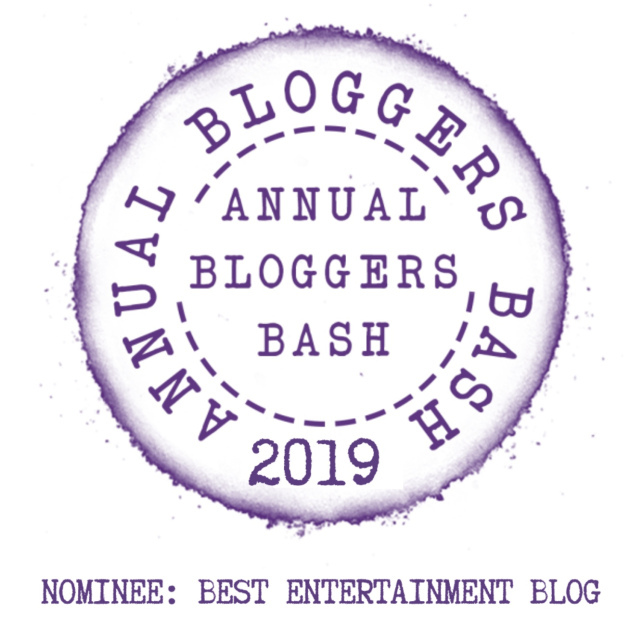 “A self-taught chef, Heston Blumenthal’s route to the top has been an unconventional one, involving rule-breaking, unusual experiments and an exploding oven.” Not sure what that means, but it’s from HIS website, so it must be true. 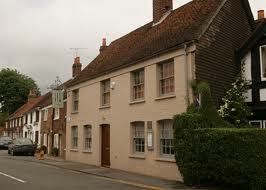 His restaurant, The Fat Duck, has been awarded three Michelin stars and was voted Best Restaurant in the world in 2005. Here is a picture of his Roasted Foie Gras. This has to cost ALOT. Back to the artificial burger: At the moment, the lab-grown meat (which is grown from fat stem cells and cow muscle) is in the form of “unappetising half-millimetre thick strips of lab-grown meat that are pinky-yellow in colour.” But the project’s lead researcher says he’s confident he’ll be able to get a near-perfect approximation of a real burger by October. The “test-tube burger” will be the first beef patty ever created in the laboratory. Its price tag – 250,000 euro – reflects just how exclusive this culinary experience will be. The burger’s true “chef” is Dutch stem cell scientist Dr Mark Post, from the University of Maastricht. After experiments which progressed from mouse meat to pork, he is now ready to produce an artificial burger that looks, feels and tastes like the real thing. A PICTURE OF THE REAL THING! Sandwiched between two buns, it will make a grand public entrance in October. The current plan is for Blumenthal to cook it for a mystery guest, to be chosen by the research project’s anonymous funder. 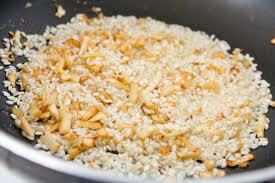 The minced meat will have been grown from bovine muscle and fat stem cells cultured in Dr Post’s laboratory. Right now Dr Post is still working with unappetizing half-millimetre thick strips of lab-grown meat that are pinky-yellow in colour. But he is confident that over the course of this year he will produce a burger virtually indistinguishable from one bought in the high street. The research has a serious aim – to address the problem of unsustainable livestock farming. “These animals are very inefficient in the way they convert vegetable matter to animal protein,” he said. “Cows and pigs have an efficiency rate of about 15%, which is pretty inefficient. Chickens are more efficient and fish even more. MORE EXPENSIVE FOOD – THE WORLD’S MOST EXPENSIVE HOT DOG!! The previous most expensive hot dog cost $80 and was made at a ballpark in Massachussetts; the current official Guinness record holder is the haute dog at Serendipity in New York, which sold for $69. America, this is not to be borne: It is time to reclaim that super expensive hot dog title from our neighbors to the North. Get on it, and avoid the mystery special sauce. VANCOUVER, British Columbia, Jan. 24, 2012 dougieDog Hot Dogs, a popular Vancouver eatery renowned for its creative all-natural hot dogs, has just added the Dragon Dog to its menu — with a price tag of $100. The hot dog features a foot-long bratwurst infused with hundred-year-old Louis XIII cognac, which costs over $2000 a bottle. 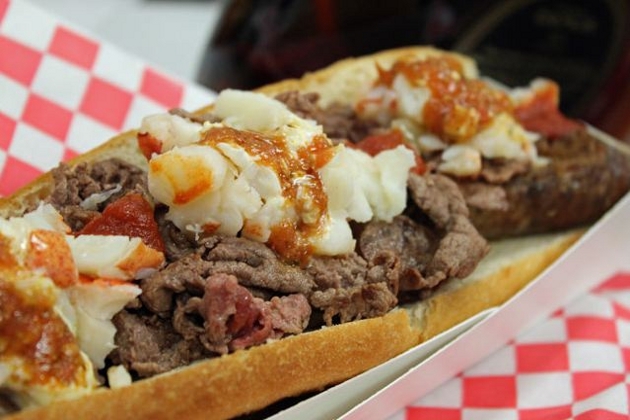 Also on the dog, Kobe beef seared in olive and truffle oil and fresh lobster. 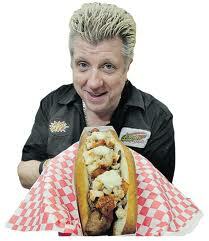 A picante sauce (ingredients undisclosed) ties the flavors together for 12 inches of absolute culinary decadence. “In designing this hot dog I wanted to come up with something super tasty and high-end that stays true to the traditional identity of the hot dog — a hot dog that any hot dog lover would enjoy,” explained dougieDOG proprietor and Chief Hot Dog Designer dougie luv. So why the name “Dragon Dog”? The matsutake, or mattake, mushroom is expensive because of its rarity. While its historical prevalence meant it was nearly synonymous with autumn in Japan, the introduction of an insect that kills the trees under which the mushroom grows has caused a dramatic decrease in the number of matsutake mushrooms. In a country where watermelons are rare game, they can be a costly commodity. That’s how a 17-pound Japanese watermelon became the most expensive watermelon in the world. 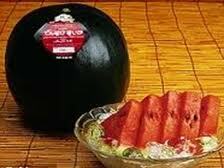 Densuke watermelons, a type of black watermelon grown only on the northern Japanese island of Hokkaido, are usually given as gifts due to their extraordinary rarity. 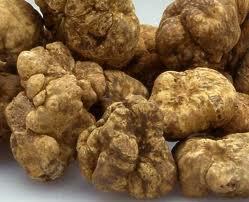 Expensive truffles are notoriously pricey because they are difficult to cultivate. This makes them a true delicacy which some have called the king of all fungi. The Associate Press reported that a real estate investor and his wife from Hong Kong have paid €125,000 ($160,406 USD) for a gigantic Italian White Alba truffle which is reportedly the world’s most expensive ever. 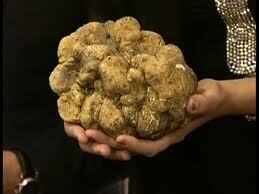 The most expensive truffle weighs in 1.51 kilograms (3.3 lbs). Have a few slices and call it a day! 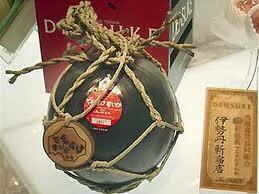 The Yubari Melon is a very expensive Japanese melon. They had previously been judged the best pair and were purchased by the owner of a nearby seafood lunchbox and souvenir business. Prices range from 6,000 to 15,000 yen (which would be $60 to $150 in the US). The best ones are within the range of costing 20,000 yen ($200 US. ), and the price record at auction was established in 2008 at 2 million yen ($20,000). Of course, leave it to the Japanese to find a way to enjoy it at a reduced price as well…such as the candy above, and how about this: Yubari Melon Kit Kats! ‹ New Jersey’s “Jerseylicious” Fun Facts! Have You Tasted Shrimp-Flavored Kit Kats? Tokyo’s Amazing Kit Kat Store! « Bite Eat Swallow!